Everyday Massachusetts residents are injured in auto accidents. Statistics show that more six million auto accidents occur in the United States annually. Over 2.9 million people are injured and more than 42,000 people are killed. While each accident is different concerning the level of damages, injuries and losses, it is important to have an experienced Massachusetts auto accident lawyer on your side. In our experience, the majority of motor vehicle accidents occur because of someone else’s negligence for failing to stop for a red light or a stop sign, rear-end collisions, texting or using a cell phone, or unsafe lane change. However, some occur because of someone else’s reckless behavior such as operating at excessive speeds or driving under the influence of drugs or alcohol. In addition, some auto accidents are caused by a defective product. The law firm of Gilman Law LLP has extensive experience in handling cases where the automobile manufacturer was responsible for designing, manufacturing or labeling a defective product which caused the serious injury. One leading cause of accidents that has been on the rise during the past two decades is the use of cell phones. In 2009, 5,474 people were killed and 448,000 were injured in the U.S. because of accidents that involved distracted drivers. Cell phone use was a factor in 995 of the deaths and 24,000 of the injuries. These numbers are alarming. 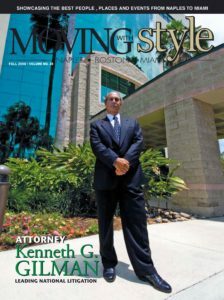 The Safe Driving Law in Massachsetts which became effective on September 10, 2010 states that operators cannot use any mobile telephone or handheld device capable of accessing the Internet to write, send, or read an electronic message including text messages, emails, and instant messages or to access the Internet while operating a vehicle. This law applies even if the vehicle is stopped in traffic. The Massachusetts car accident lawyers understand the rules of the road and work with investigators and experts to understand the underlying causes that require complex scientific and engineering questions. Our experienced Massachusetts attorneys will assist you in establishing liability by obtaining the police report, reviewing the traffic laws, and interviewing witnesses. We also have significant experience dealing with large insurance companies who employ experienced adjusters and attorneys. Employing the services of a qualified, experienced Massachusetts car accident attorney is important to protect your legal rights, perform a thorough investigation, obtain the proper insurance benefits and fight to ensure you get the compensation that you deserve. The lawyers at the Masachusetts personal injury law firm of Gilman Law LLP will do all the work so you can work on getting your life back. The professional staff of Massachusetts auto accident lawyers at Gilman Law LLP are here to help you receive proper compensation for losses and expenses related to your auto accident injury. Additionally, it is important to provide for potential future medical needs and expenses, as well as lost wages and other costs. Unlike insurance companies, our professional lawyers are looking out for your best interest, and have the experience to handle your lawsuit with the precision and knowledge that comes from helping car accident victims obtain the fullest extent of benefits to which they are entitled. 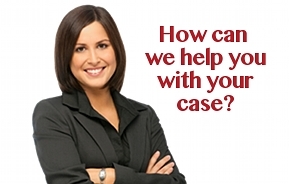 Have you or someone you love been injured in an automobile accident in Massachusetts? The lawyers at Gilman Law LLP understand how devastating a serious accident can be and are committed to helping you recover. If you have suffered injuries and financial damage in an automobile accident caused by the careless or reckless driving of another motorist, you shouldn’t have to worry about your medical bills and lost wages. Massachusetts law entitles you to compensation, and our experienced Massachusetts car accident lawyers will fight for your rights. Please complete our free consultation form online or call (888) 252-0048 to speak with a Massachusetts Accident Injury Attorney.